The Citroën C4 is a compact car (C-segment in Europe) produced by French automaker Citroën since autumn 2004. It is currently in its second generation. The C4 was designed to be the successor to the Citroën Xsara. 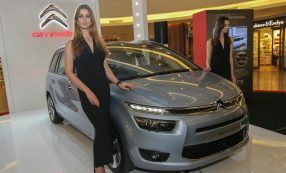 It is mechanically similar to the Peugeot 308, which was launched in 2007. A revised version, with a new front end, reverse lights, and dashboard revisions, was launched for the 2008/2009 model year. In January 2010, it was announced that the coupé version was not to be overhauled, but instead replaced with the Citroën DS4. The C4 scored second place in the 2005 European Car of the Year awards. 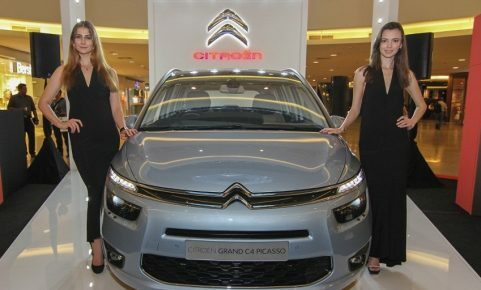 The Citroen C4 Picasso is a compact multi-purpose vehicle (MPV), available as a five-seater and a seven-seater version, called the Grand C4 Picasso, produced by French manufacturer Citroën. The seven seat Grand C4 Picasso made its debut first, at the Paris Motor Show in September 2006, with the five seat version following in January 2007. Both the C4 Picasso and Grand C4 Picasso are produced at the PSA Vigo Plant in Spain. The Citroën C4 Cactus is a mini crossover, produced by French automaker Citroën in Spain since April 2014. The C4 Cactus is considered as a compact SUV, although it is based on the PSA PF1 platform that underpins the smaller Citroën C3 and DS3. A distinctive design feature is the “Airbump” panels on the car’s sides, designed to protect the vehicle from damage in car parks. The Citroën Cactus concept, presented at the 2013 Frankfurt Motor Show, previewed the production version. The C4 Cactus was presented at the 2014 Geneva Motor Show.